Why blend genres when you can make a new one? It's become all too common for those who write about music to write about an artist not fitting within the lines of a specific genre, and that their music blends the elements of many different genres together; this recurring theme of "genre-defying" artists is a tired one. Jamaican-born, Virginia-bred multi-instrumentalist Micah Davis, who goes by the name Masego (which means "blessing" in Tswana, paying homage to his family's South African roots), has done us writers a favor by creating his own genre. Masego self-describes his music as "traphousejazz," making sure his originality isn't confused for being an amalgamation of other existing styles. His 2017 record, in collaboration with perennial groove-machine FKJ, "Tadow" is an elaborate piece of music that shines light on the immeasurable talent possessed by both musicians and the undeniable chemistry that they share. "Tadow", apparently spawned by an improvised jam session between the Masego and FKJ, emerges with a lip-smackingly tasty guitar loop, and light, time-keeping snaps (this snapping sound, is actually a recording of Masego opening and closing a passport, perhaps signaling a future career as a foley artist). Masego's tender vocal utterances and softened 909 electronic percussion then stack gently join in, closely followed by smoky saxophone riffs and support from spacey synths. Masego's vocals, on his usual subject matter of being mesmerized by a mysterious woman, vary from romantic crooning to full-on rapping, held together by the constant eponymous refrain of "tadow." It's easy to tell that this music was not over-produced, and came straight from their two souls. All the rhythms are relatively simple, and there's a lot of repetition, but the way every layer fits together makes perfect sense. 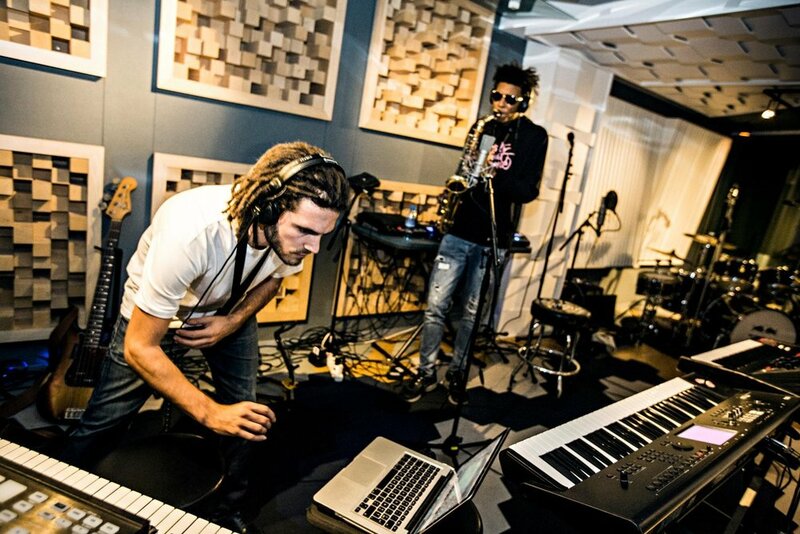 According to FKJ, the song was made in just eight minutes. Perhaps "Tadow" can serve as a lesson for aspiring musicians. Go with with you gut. Do what feels right. To quote Masego on his thoughts on writing music, "Most times, too much thinking isn't necessary." Newer PostBetter with Vibes: Noah S.
Older PostBetter with Vibes: Art A.